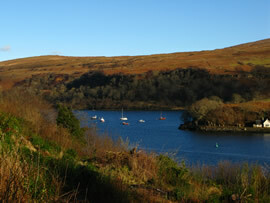 The Aline is the largest river flowing into the north of the Sound of Mull. It is fed by three major tributaries: the fast-flowing, bouldery Black Glen; the gentle meanders of the White Glen and the forested burns of Loch Arienas. 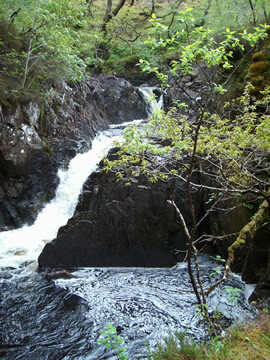 The main river and upper reaches of the White and Black Glens provide plentiful spawning and nursery habitats for salmon. 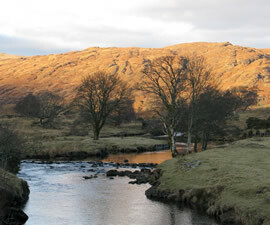 Sea trout appear to originate from Loch Arienas, which also supports a good brown trout fishery.